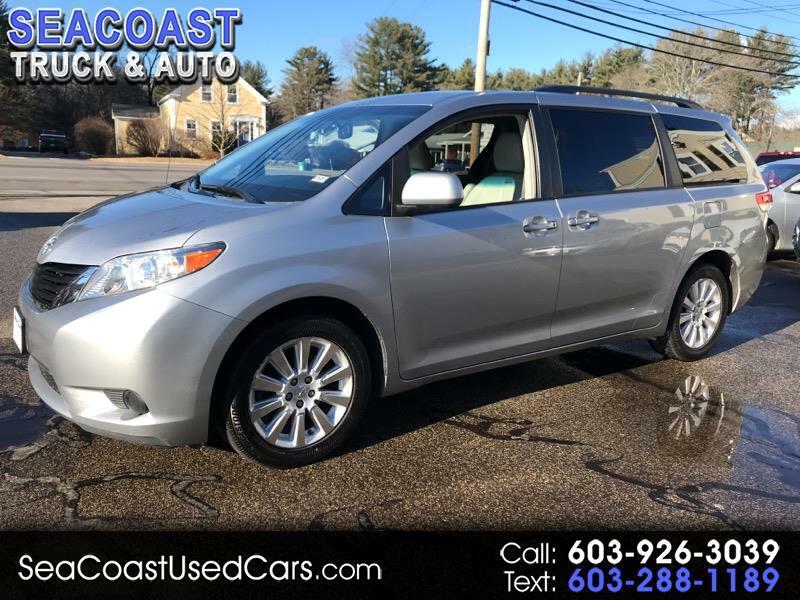 CALL US @ 603-926-3039 VISIT OUR WEBSITE @ seacoastusedcars.com... PLEASE NOTICE ALL OUR PRICES ARE THE ACTUAL PRICES,WE BUY OUR CARS CASH SO WE CAN PASS THE SAVINGS ON TO THE CONSUMER NO TRICKS OR FINE PRINT THE ONLY FEE WE HAVE IS A DEALER PREP FEE OF $89.00 BECAUSE WE SERVICE AND INSPECT THE VEHICLE,DETAIL,ROAD TEST TO MAKE SURE WE ARE OFFERING SAFE QUALITY VEHICLES EVERY TIME WE HAVE BEEN IN BUSINESS FOR OVER 28 YEARS AND PLAN TO BE HERE ANOTHER 25+ YEARS SO SHOP US WITH CONFIDENCE WE ALSO OFFER FREE CAR FAX REPORTS JUST CLICK ON THE LINK,AND WE ALSO OFFER EXTENDED WARRANTY PROGRAMS,TIRE AND WHEEL PACKAGES AND ALSO GAP INSURANCE SO YOU CAN KEEP YOUR CAR RUNNING AND DRIVING WORRY FREE FOR MANY YEARS TO COME. Message: Thought you might be interested in this 2011 Toyota Sienna.